Well, of course it's not quite as easy to reach free new coins via a generator in FIFA 16 Ultimate Team. Resourceful tinkerers and scammers are well aware of the demand for Ultimate Team Coins communication and make use of the desire to be able to finally afford a Ronaldo or Messi for their own initiative. Such FIFA 16 coins generators are nothing more than a fraudulent scam to gain access to your account information on the console, your Ultimate Team or even important data, such. As credit card or PayPal information. - As a rule, you have to specify when such alleged Coin generators occurred and use your FIFA usernames including password. In this way the suppliers promise to remit the required amount on your Coin account. - This way you don’t get the free coins. Rather, you fall into the phishing trap and give your personal login data to their hands. In the worst case fraudsters get access to your Ultimate Team and steal your team including coins. - These applications are often preceded by surveys. Respond to these surveys, you finance the fraudulent offer. - Often you have in these surveys, IQ tests or mini-games and then required to provide your mobile phone number, of course, with the promise, to get the coins. By this time you should be skeptical of a secretly hyped subscription trap. - In such FUT Coin generators for download, often you find even a virus or Trojan hiding behind these programs. - Also on YouTube there are those alleged FUT hacks. Often, these are backed by allegedly positive comments, after which the generator is 100% safe and functioning. However, these comments are only fakes, often the comment and evaluation function is completely deactivated in order not to let negative voices and warnings only come up. - These coin generators use, among other things, the original FIFA 16 logos and deceptively similar URLs. 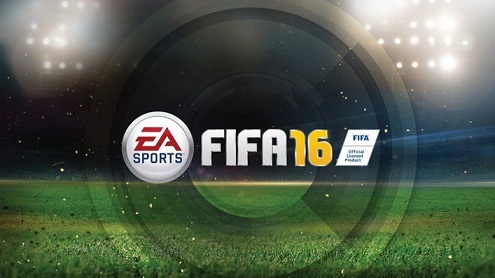 - FIFA 16: Coin Generator and Hack for free coins - caution subscription trap! Therefore, don't be intimidated by email, through a Private Message after an online game, or if someone on Facebook offers free Coins and packs. Herein lies no good intention, but merely to steal your coins or login information.